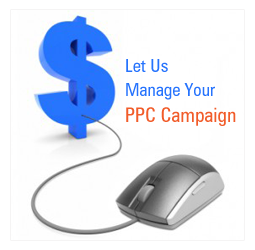 ﻿ PPC|Pay per Click Management services in Mumbai,Thane,India,USA. PPC – Pay per Click Management is one of the internet marketing models used for online campaigns. Every time your advertisement is clicked, you shall pay your host an agreed amount. Unlike traditional advertising, PPC Management enables you to track and measure the results against the investment. Hence it's a cost effective campaign. The focus of PPC marketing has widened from search engines like google, Yahoo, Bing, etc to social media sites like Facebook, Twitter, LinkedIn etc. How is it different from SEO? Difficult to track success Can suffer from "Ad Blindness"
When Search Engine Optimization is done along with a Pay per Click Campaign the results are sure to amaze you. A high rank on SERPs and a complete Search Engine Marketing is achieved by SEO and PPC together. We are one of the best SEO service providers in Mumbai, India. It also includes pay per click management service in order to reach the targeted audience most effectively. PPC service includes bid management, campaign tracking, in-depth reporting, etc. This service helps our customers achieve robust online presence. We also offer other different web services and digital marketing services at an affordable price. © Copyright 2012 Galagali Multimedia Pvt. Ltd.